A journey that started in Western New York (in another sport) has taken Brett Kern all the way to top of the NFL. He’ll play in this weekend’s Pro Bowl in Orlando, Florida. 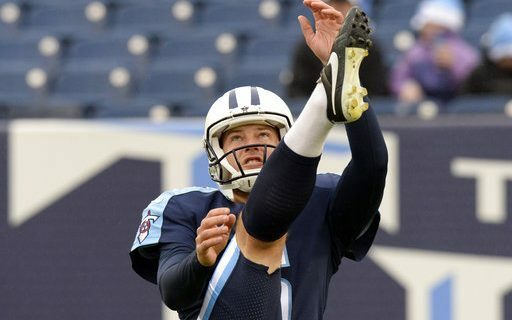 Kern is the AFC’s punter, after an outstanding season with the Tennessee Titans that saw the 10 year veteran lead the league in punting average (49.7) and net punting (44.6). The honor has allowed Brett to reflect on his journey from soccer player at Grand Island High School, to football player, to college punter at Toledo and now, the NFL’s best punter. How Do I Tell Dad I Want To Play Football? Brett’s father Cal was a professional soccer goalkeeper, and remains involved in sports in WNY. Brett grew up playing the sport at a high level, as a member of travel teams in the area. But he became burned out on the sport, and decided he wanted to try his kicking on another field. But how would Dad, the soccer guy, react? Brett did, and Cal was supportive of the decision and just wanted his son to do what he loved. With the help of Grand Island football coach Dean Santorio, Brett was off and kicking on a new career. Brett was good enough at Grand Island to get a chance to kick at Toledo. While there, he met his future wife Tiffany. She was instrumental in his development. Brett would go to a local golf dome after it closed at 9pm, and kick during the winter. It was Tiffany who would shag the balls and help him develop his skills. That led to Brett’s chance in the NFL with the Denver Broncos in 2008. He spent that season in the Mile High city, before moving to the Titans in 2009. Since then, he has never averaged less than 43 yards a punt. This season was his best ever, and was within range of the NFL record for punting average in a single season. The entire Kern family, including his parents, are in Orlando for the Pro Bowl. Brett’s excited to hang out with the game’s biggest stars. His kids may be more excited about the VIP passes they get for Disney World & Universal Studios. Part of that includes Friday night, when the players get special after-hours access to the parks. Brett may try to top his Titans teammate Taylor Lewan, who rode the Tower of Terror six straight times last year. From the soccer-playing kid on the Island, to the best punter in NFL. Brett Kern’s journey has gone as far as one of his punts. But just like a good Kern punt, the sky’s the limit.